A unit of measure is a concrete magnitude of physical quantity used to define a standard of measurement for the same physical quantity. Dynamics 365 Financial and Operations uses the unit of measure to calculate the amount of product that its purchased, sold, or stored in inventory. When a product can be sold, purchased or stored in more than one unit of measure, it's important that you set up the correct unit of measure conversions. Then when you perform sales or purchases, it's important that you select the correct unit that is being sold or purchased, as the cost and price of the item is dependent upon it. A unit of measure is a standard base or derived division of quantity used for measurement or exchange. A unit of measure is required for all inventory items in Dynamics 365 Finance and Operations. A unit of measure can be defined for the inventory unit of measure, the sales unit of measure, the purchase unit of measure, and engineering unit of measure for production. For example, you purchase bottles from your supplier in boxes of 24, then you sell the bottles in packs of six or as single bottles. However, your business maintains the inventory and cycle counts the stock based on the individual bottles. This can all be easily maintained inside of Dynamics 365 Financial and Operations by setting up the product. As the unit of measure is defined for base inventory purchasing and selling, Dynamics 365 Financial and Operations will automatically convert the units if products are purchased in one unit of measure and sold in a different unit of measure. The system will maintain and display the inventory according to the base unit of measure defined for inventory. To create a new unit of measure, you can use the new icon to manually create one or you can use the unit creation wizard to open up a wizard to help you create them automatically. If create one by using the wizard, then you need to select if want to create standard units, select to create based on metric units, U.S. standard units, and when you select to create based on U.S. units or standard units, you can decide if you want to create conversion factors as well. Then when you click the next button, the system will tell you whether or not you have all the units of measures created. If you wanted to view the existing ones, you can use the view existing button. On the next page of the wizard, you can decide if you want to create unit conversions. On the last page of the wizard, if you have selected to actually create some, the wizard will display all of the information that will be created and then you'll click the finish button. After you've completed the wizard, the new units of measure will be displayed in your system automatically. When you purchase, sell, or stock items in more than one unit of measure, you'll need to set up a unit of measure conversion to define how many of one unit equals a quantity in the other unit. Unit conversions can be set up either as standard conversion or product-specific conversion rules. There are three specific conversion types available. The standard conversion is used to set up rules that apply for all products. It's important to note that standard conversion rules can only be set up for units of measure that are in the same unit class. For example, the weight unit class. Standard conversion might include the conversion from kilograms to pounds which are both weight-type units of measure. Intraclass conversions. These are used to set up product-specific conversion rules for units of measure that are in the same unit class. For example, you can set up a unit conversion rule for a product that converts pieces to boxes. Pieces and boxes both reside in the quantity unit class. Interclass conversions. These are used to set up product-specific conversion rules for units of measures that cross a unit class. For example, you can set up a conversion rule for a product that converts kilograms to liters. Kilograms are in the mass unit class and liters are in the liquid volume unit class. If both the product-specific and standard conversion rule exist for a unit of measure, the product-specific conversion rule is used to convert the unit of measure for that product. You can create translations for your unit of measures so that you can print documents such as invoices and confirmations in multiple languages. The first is the translate unit descriptions button which translates the description field. There's also the unit texts button which is used to translate the unit field. Additionally, use the external codes button on Units Form to set up external codes. External codes can be used for specific vendors or customers. Then on the bottom half of the form, you'll type in the value. This is the value that will be used. 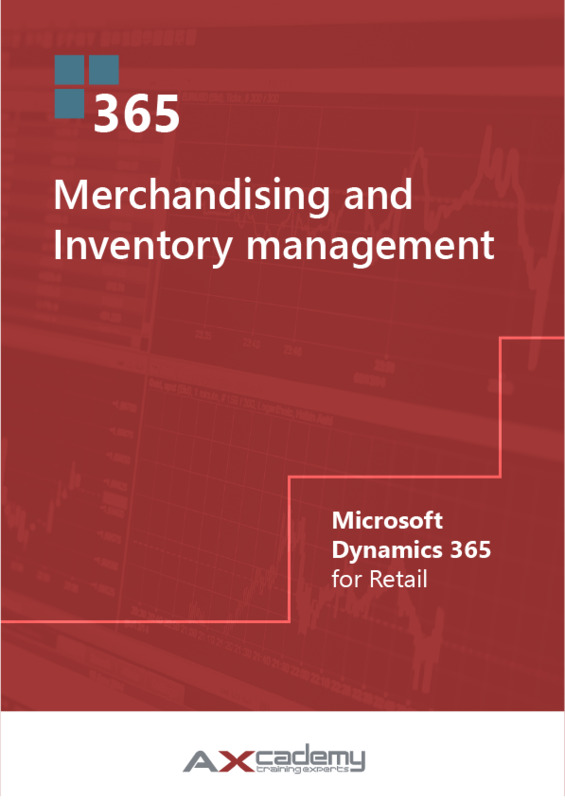 The above text is an excerpt from our training material Merchandising and Inventory Management in Microsoft Dynamics 365 for Retail, available in our webshop.